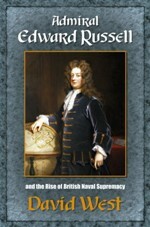 Edward Russell's influence on naval history in the closing years of the 176th century can scarcely be over estimated. He established lasting British naval supremacy a century before Nelson and defeated the French at Barfleur and La Hougue – a man without whom the course of British history would have been very different. David West served in the RNVR during WWII in theatres ranging from the Arctic to the Pacific. After the war he joined the diplomatic service and travelled extensively as Chairman of the Joint intelligence Staff (Far East). David West illuminates an overshadowed period of naval history, hitherto a dark age that has been neglected as it is important. What is 16 - 2 ?